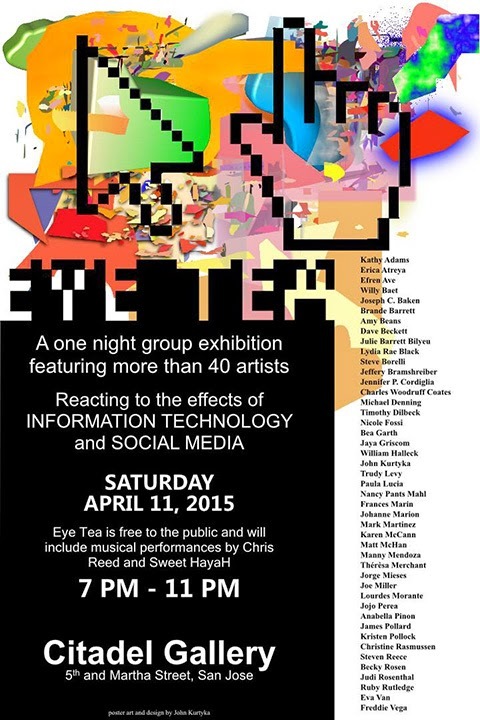 Studio 1039 and AtreyArt are presenting the new "EYE TEA" art exhibition at the Citadel Gallery on 5th and Martha Streets. Over 40 artists will be showing works that revolve around the effects of social media in the modern world. There will also be live music by Chris Reed, Sweet Hayah, and MC-Dj Mandiesl. The event is free and runs from 7pm to 11pm.